For most of us it is difficult to imagine what it is like to go to bed hungry. Yet, here in Oshkosh, there are people of all ages and walks of life - families with children, the isolated and elderly - in need of a square meal and a gesture of care and compassion. In response to these local needs, Deacon Nancy Behm and members of the Youth Group at Trinity Episcopal Church began the mission of Loaves & Fishes to reach out to the poor and hungry in our community. 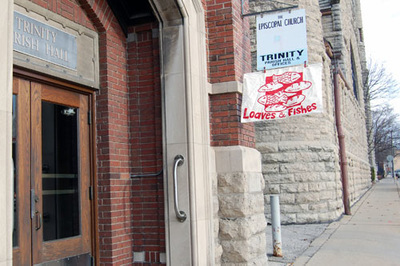 For more than a decade, the doors to Trinity’s Parish Hall have opened on the first and third Saturdays of the month to provide a nourishing, hot meal to our neighbors in need. 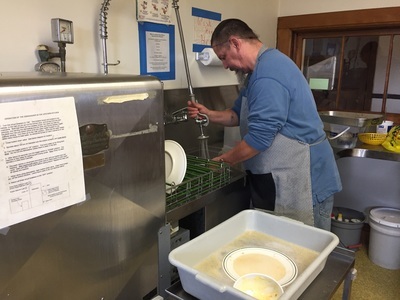 Parishioner James Chaudoir assumed leadership of the Loaves & Fishes program in 2015, following in the footsteps of Judie Robson, who re-located to the Beloit area. James stepped back from this ministry at the end of 2017, and for the first part of 2018 a steering committee at Trinity has overseen the work and planned for its future. Currently, in addition to a loyal and dedicated core of volunteers from within the parish, including the EfM class and our Vestry and Youth Group, additional volunteers include students from Lourdes Academy, the Men's Fellowship from First United Methodist Church, staff members from Mercy Medical Center, and members of Our Savior Lutheran Church. 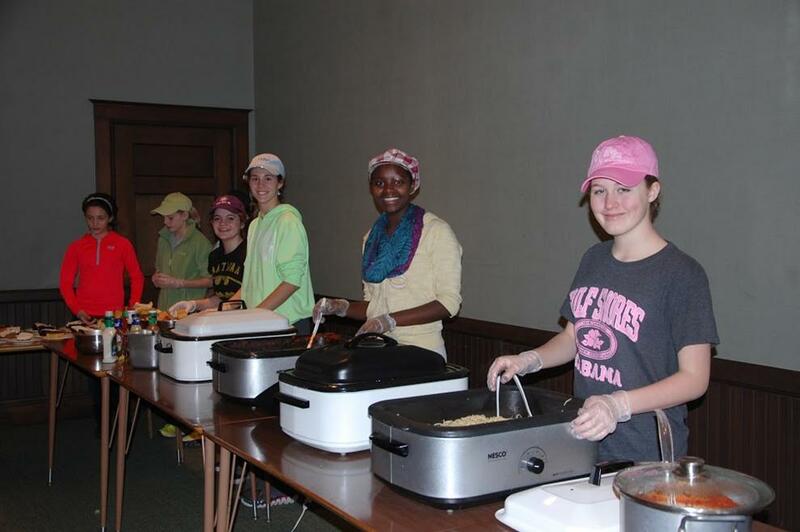 This outreach mission has become a labor of love shared by the broader Oshkosh community. and the disciples gave them to the crowds."